Mikaela Shiffrin's sensational World Cup pace will be put to the test this weekend with Lindsey Vonn and the in-form Italian women skiers looking to impress at Cortina d'Ampezzo before next month's Winter Olympics. Shiffrin, the reigning Olympic and three-time world slalom champion, has been building momentum towards the Pyeongchang Games in South Korea, but the Italian women showed they are hitting form with Sofia Goggia leading a podium sweep last weekend in Bad Kleinkirchheim, Austria. Two downhills -- including one replacing the cancelled Val d'Isere leg in the French Alps -- are scheduled on the slopes in the Italian Dolomites on Friday and Saturday with the Super-G on Sunday. Shiffrin charged to a remarkable eighth win in nine World Cup races in Flachau, Austria before taking last weekend off to train. The 22-year-old American has won nine of her last 10 races, including five in succession in the World Cup, putting her at the top of the competition standings. She has already set herself up as favourite to take three golds in South Korea. 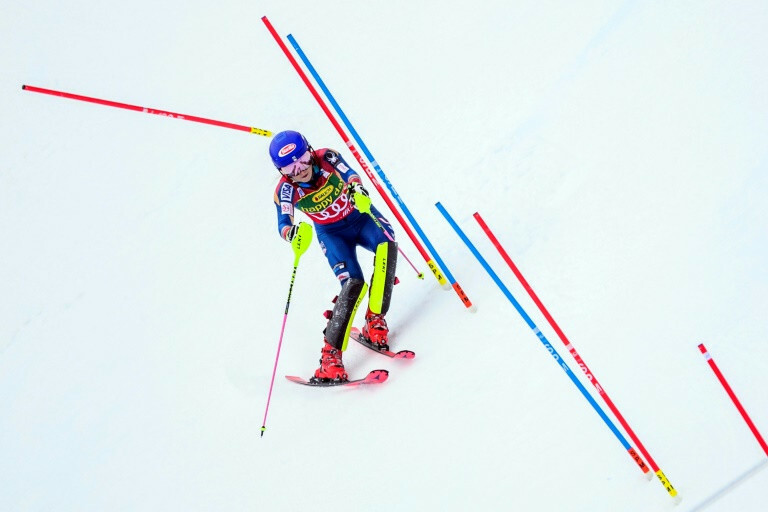 By contrast Vonn -- the 2010 Olympic downhill gold medallist -- has been taking no chances this season as injury ended the 33-year-old's title defense in Sochi four years ago. "It's not February so I'm not stressed. I've been waiting for these Olympics for 8 years so being healthy is my #1 priority. Next weekend is Cortina. Should be a little easier on my knee," she wrote on Twitter. Vonn's cautious run saw her trail in Bad Kleinkirchheim as she slammed a bumpy surface that turned races into a "rodeo". By contrast the Italians were in sizzling form with Goggia leading an unprecedented World Cup triple by her countrywomen. Goggia -- runner-up in both the downhill and Super-G in Cortina last year -- won ahead of Federica Brignone and Nadia Fanchini. The podium sweep followed Brignone's victory in the Super-G the day before. And Goggia warned that she is beginning to hit top form "technically and physically". Swiss Lara Gut won last year's downhill in Cortina, and returns hoping to pick up her first win since, but Slovenian star Ilka Stuhec, winner of the Super-G a year ago, has been ruled out this season because of injury. Tina Weirather of Liechtenstein, who sits top in the downhill standings after placing fifth in Bad Kleinkirchheim, will also be competing in Italy. 0 Response to "US ski sensation Shiffrin faces Italian test in Cortina"